As you would like it to appear in episode's notes. For contact purposes only and will not be shared with anybody. Thank you for sending your questions to Nobody. If Nobody decides to answer, you will receive a message requesting a recording of you asking your question for use on Nobody Knows. Until then, please enjoy, subscribe to, and share Nobody Knows. And if you love the show, please give Nobody a glowing review. Nobody thanks you. Very much. After a two-year hiatus, Nobody is back with an entirely new project: Nobody Knows a meditation-comedy question-and-answer podcast. Each short episode centered around listeners’ questions, which Nobody answers as only Nobody can. Is there something that you'd like to ask Nobody? Send us your question using this form. You can send as many as you like. Include your phone number, as Nobody may want to record audio of you asking your question. 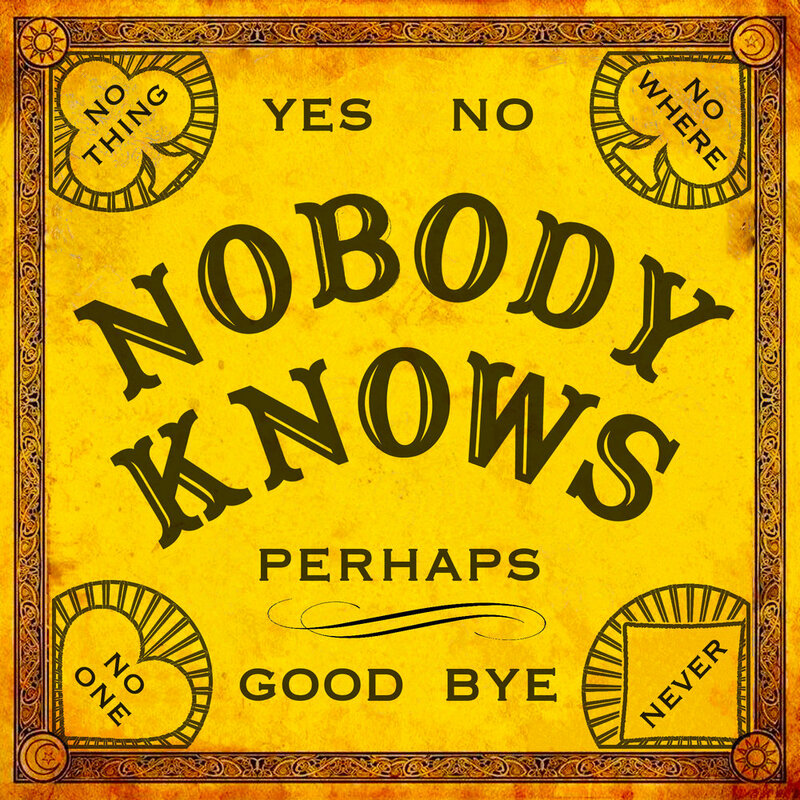 Nobody Knows debuted on all the podcasting platforms in January 2018 with a special live event at the annual Fun-A-Day event in Philadelphia in February. Prior to the podcast, Nobody appeared in the live theatre productions Mining the Mine of the Mind for Minderals (2012), The Institute of Eerie Occurrences (2012) and Meet the Mediums (2013) before Nobody hit the road with their no-man show Nobody's Home. Originally performed at a supermarket in the middle of Nowhere, Nobody's Home gained a cult following, playing more than 60 times in 50 people’s bedrooms in a dozen cities around the U.S. and resulting in the spin-off’s Nobody’s Valentine, Nobody’s Birthday, and Nobody’s Home for the Holidays. Nobody is currently working on a new stand-up comedy show called Nobody Laughs, and a will soon launch their new charitable foundation, Nobody Cares. Nobody looks forward to continuing this collaboration and your role in it. Nobody thanks you. Very much.